If you are one of those people who has a fair bit of spare cash lying around, and want to make some unique Christmas cards for all your friends then you could make one of these fun iPhone Christmas cards. 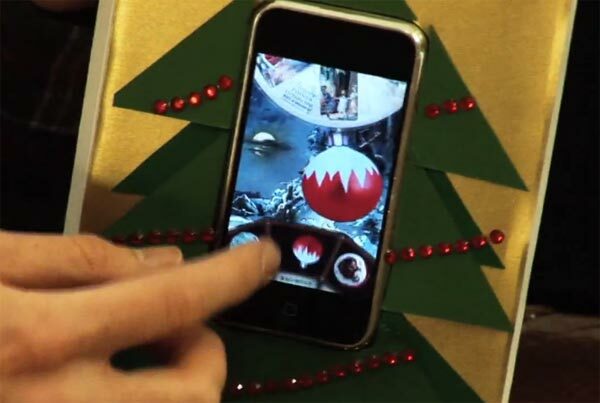 To make one you will need an iPhone, some card, glue, and a few decorations for your mini tree, plus a $0.99 iPhone App called Bauble, check out the video of how to make an iPhone Christmas card above. Very clever, it looks like the developer of the Bauble app thought of a unique way to promote his application, I cant see to many people making these cards to give to their friends as it could end up costing you a small fortune.